A GIF-filled romp through the forests of books and nerdery. Who Is This Reading Rambo? Ah, second week! Where we added to the exposition with more exposition, but also some things happened! 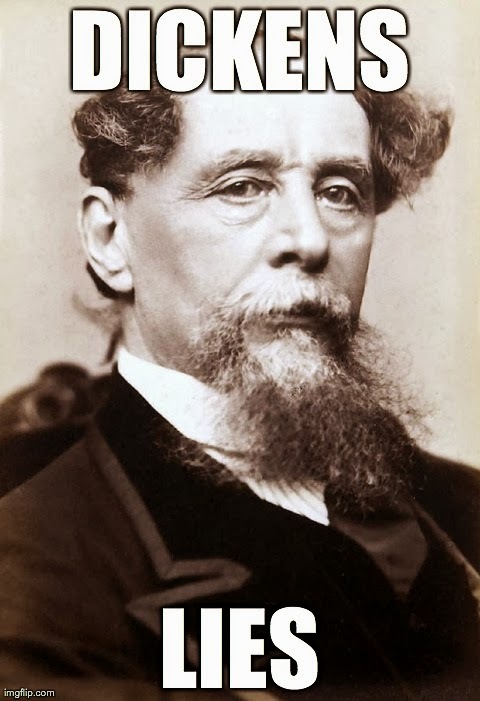 Some of you are getting more invested, and also discovering the payoff of sticking with Dickens, because after you meet the first 50 characters, later you hear about one of them in a sideways sort of way and go "Oh! oh!!" and it's all very exciting. In Lisa Jadwin's "'Caricatured, not faithfully rendered': Bleak House as a Revision of Jane Eyre," she says that between 1849 and 1853 "Dickens devoted considerable space in Household Words and in his letters to putting feminists in their domestic place." I'm willing to grant that Dickens wrote Esther as a sort of answer to Jane Eyre, but I refuse to call her "his most notorious aesthetic failure." Jadwin goes on something of a crusade against Dickens and also says that "Dickens recasts Brontë's opening chapters to demonstrate that what Jane perceives as abuse is simply benign and appropriate female conditioning." Really? Really, Ms Jadwin? You think that Dickens was totally pro-Esther being told she was worthless and should never have been born? YEAH I COULD TOTALLY BUY THAT. Esther and Jane take different paths, and yes, Jane's is more what can nowadays be termed 'feminist,' but Esther takes her psychological damage and, you know what, doesn't focus it all on a man. BOOM. Now that THAT'S out of the way, let's discuss how much we love everyone. JO. Jo, Mr Snagsby is so kind to you for no reason other than being kind. And you cared about Nemo. And Mr Turveydrop and Harold Skimpole are so selfish and terrible. And CHARLEY. Oh Charley. And what's up with the passionate Hortense and why is England's relationship with France always hilarious and involve bare feet? 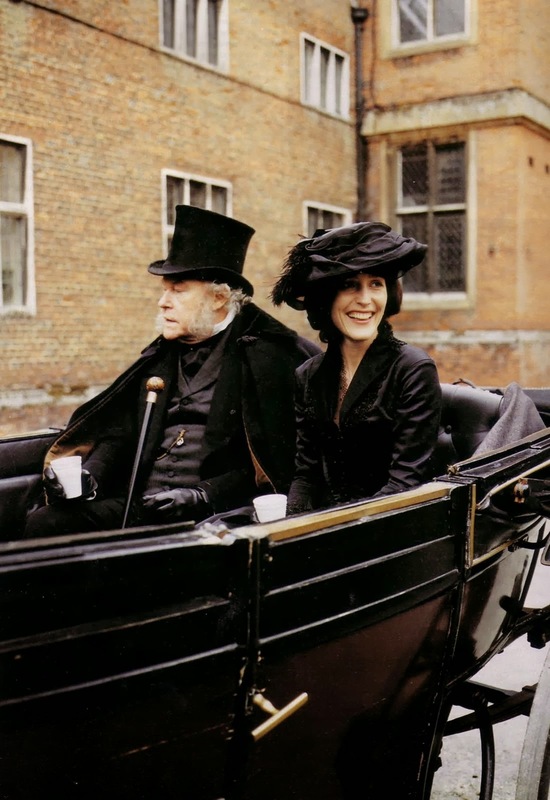 And have we noticed how Dickens is all 'THE ARISTOCRACY IS MOULDERING AND DECAYING' because rain + gout? But Sir Leicester and Lady Dedlock are for reals my favorite and he loves her so much and agghhh. I have many feelings on this score. Also Dickens is hilarious and I feel like we forget that sometimes, aside from his amazing naming ability. "Can we fly, my friends? We cannot. Why can we not fly, my friends?" Mr. Snagsby, presuming on the success of his last point, ventures to observe in a cheerful and rather knowing tone, "No wings." But is immediately frowned down by Mrs. Snagsby. We have met Miss Flite. We have met the Man from Shropshire (Gridley). We seem to have met most people connected with Chancery, and all through Esther. It's rather amazing how she keeps running into people she's connected with. WHAT IS KROOK UP TO. And how do we feel about Jobling? And what's going on with Richard? And does anyone else want a crusty twist, because I certainly do. NEXT WEEK. Through chapter 32. Be there or be square, etc etc. Okay, people. Here it is. Where you sign up to read the entire Harry Potter series (or to reminisce fondly), starting January 2013, assuming we all survive the Mayan apocalypse. I don't think I'm even going to get to Tina and Bette's reunion on The L Word until after Christmas, so here's hopin'. You guys know how this works. Sign up if you want to. If you're new to the blog, know that we are mostly not going to take this seriously. And when we do take it seriously, it's going to be all Monty Python quotes when we disagree on something like the other person's opinion on Draco Malfoy. So be prepared for your parents being likened to hamsters. Acclaimed (in England mostly) lady Caitlin Moran has a novel coming out. A NOVEL. Where before she has primarily stuck to essays. Curious as we obviously were about this, I and a group of bloggers are having a READALONG of said novel, probably rife with spoilers (maybe they don't really matter for this book, though, so you should totally still read my posts). This is all hosted/cared for/lovingly nursed to health by Emily at As the Crowe Flies (and Reads) because she has a lovely fancy job at an actual bookshop (Odyssey Books, where you can in fact pre-order this book and then feel delightful about yourself for helping an independent store). Emily and I have negotiated the wonders of Sri Lankan cuisine and wandered the Javits Center together. Would that I could drink with her more often than I have. So we did it. Our elected leader who bragged about sexual assault and who has made countless denigrating remarks about women is still in charge. Why are we marching again? There is a tendency in any movement for things to lag. People become complacent, they accept their new reality, and think they can make no change. It makes sense that after the draining year that 2017 turned out to be — a year where one could constantly feel buffeted on all sides by waves of racism, misogyny, cruelty, and disregard for the planet — after that exhausting year, why should people come out in January weather to stand in the streets once again and say “We are still here and we are still angry”? Bleak House Week 4: Esther Esther Esther. neanderthals are people too. sort of.